BOOK: "Vanessa and Other Short Stories"
The system is not actually accurately represented by these images. 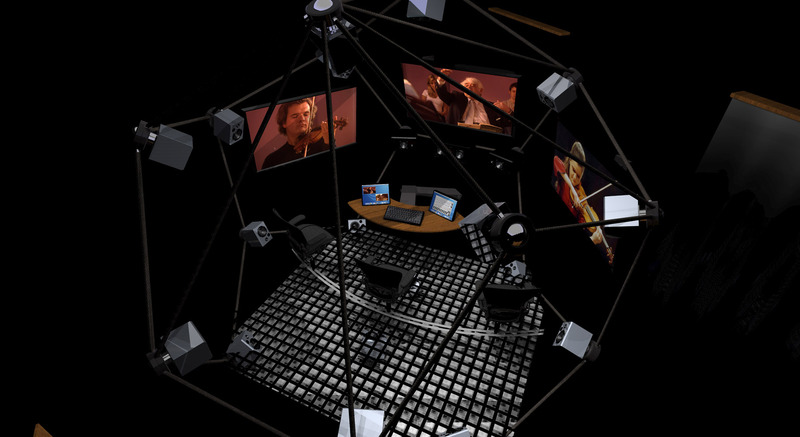 The replay environment is a multichannel system for ambisonic and other surround sound replay as well as stereophony. The images depict loudspeakers that actually look like loudspeakers because this was a lot easier for clients to comprehend rather than the ones that were developed that looked rather like small spheres. Advanced digital highest quality recording replay for 360 degree surround sound recording evaluation, reformatting and signal processing. IMAGES © agm digital arts GmbH all rights reserved. Usage permission required.